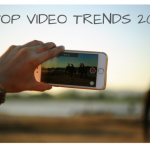 Speaking of content, one format that’s making waves is video content. For instance, on YouTube, the planet’s largest video sharing portal, there are 300 hours of new content being uploaded every minute! Since everybody out there is putting out video content, it can be tough for your business to stand out. You need to fight for people’s attention almost every day. A lot of the content is even addictive. You aren’t just competing with your rivals. You may also be competing with entirely different industries. For instance, if you’re advertising toothpaste, there’s a good chance that a customer will choose to watch a movie trailer over your ad. You see, you’re even competing with the movie industry now. So, how do you overcome this problem? Statistical studies tell us that most of the content on the internet will be video in the next few years. We also know why video works so well. It has been observed that 65% of information is retained if it’s been presented video format. Then, we know that almost 60% of marketers testify to the fact that video content offers the best returns (ROI). Besides, shoppers who viewed product videos are twice as likely to buy the highlighted product. So, it’s clear that video content rules. However, as creating video content become more affordable, accessible and cost-effective everybody can try the chances in producing video content. In other words, adopting video marketing may not be enough for you to stand out since every else is doing it too. Well, there is. It’s called an interactive video. The thing is, your target audience hasn’t progressed into the customer lifecycle far enough to purchase your products. The only thing that can make them do that is engaging content. People want to be entertained and informed at the same time. That’s where interactivity comes in. Interactive videos contain elements that allow the viewer to provide input in real time and alter the content. It’s like playing a video game. The viewer gets to decide what they see and when they see it. They can navigate towards various segments in the video and even influence the events that take place within. So, what you have here is something completely different from the usual video content. Statistically, it has been found that interactive videos deliver a completion rate of 90%. By incorporating interactive videos into your marketing strategy, you gain a competitive edge. This results in improved abilities, concerning lead qualification, better tracking and segmentation, and the ability to deliver a viewing experience that boots conversion rates. It’s all about choice. Viewers love making choices, and interactive videos allow this. Now, the question is, how do you make your videos more interactive, especially if your product is food? Well, we’ve got a few tips to guide you. 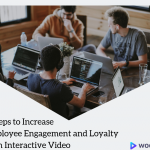 By dividing the video into segments or chapters, with the feature to skip or go back to specific sections, you can offer a great viewing experience that keeps the viewer engaged. Experts agree that including chapters is a fantastic way to boost engagement. There are twofold benefits to this strategy. Firstly, it allows the user to gain a perfect understanding of what the video is all about. Secondly, it will enable them to absorb information at their own pace, which is directly linked to better engagement. An interactive content video should ideally contain layered content sections or branching scenarios. As the narrative unravels, draw in viewers by asking questions. This can be simple questions about what the user would do in a given situation or what step they would take next. By doing so, you allow the viewer to decide what content is most relevant. You can provide a range of menu options, such as “watch a demo” or “review.” Add hotspots or buttons that link the viewer to segments that discuss those very same topics. Allowing viewers to take a look at multiple content sections or move back and forth to ensure improved learning. Once you’ve added your first touch point, work on adding the remaining interaction points throughout the entire video. However, do remember that interactions or on-screen choices take up a lot of space and time. So, make sure they offer value and aren’t pointless. In general, experts advice providing up to a maximum of 3 interaction points. Too many of them can prove to be counterproductive, as the viewer may end up losing interest. Choose your video content wisely; a good topic will not only interest your audience but also give you the ability to provide a great value that your audience will applaud. Get people excited, engage them and build buzz around your product especially if it’s topic everybody enjoys like food. When viewers watch people prepare food, they are inclined to be curious about the products the chef might be using. It stands to a reason that if in video shopping is made convenient for the consumer of the content, it’s likelier for the consumer to end up on the e-commerce site of the product and lead to a sale! With interactivity enabled in your video content, this is possible! Make your target audience happy and give them something exciting and of real value if it’s on top of all your usual content then even better. Knorr is an excellent example that interactive food video content is powerfully appealing to the audience and bringing measurable impact for the brand. Knorr came out with a creative way of adding value to the video content by sharing interactive recipes with their audience to add an extra benefit for the viewer. If you can provide real value to your target audience, it is going to improve your brand recall and your video engagement rates! Knorr is a great example where interactive video recipes had a significant engagement which brought a measurable impact for the brand! Knorr was able to provide real value to the viewer by sharing interactive recipes. This deceptively simple video is valuable to Knorr the target audience on two fronts. It shows how to make a perfect dinner quickly and just with a few ingredients. However, on top of just a recipe adding interactivity offers another layer of functionality and create engagement between brand and user. Expand your video marketing beyond image ads by incorporating interactive video content. Take a look at how popular FMCG brand Lady’s Choice embraces the trend of interactive video content to present their product more attractively and engagingly for the consumer. The goal is to offer information at the end of the day and help the viewer learn something. The objective is not to add interactivity to your video just because you want to keep up with the market trends. The goal is to use interactivity to add value to the viewer that they initially would not have received if the video was not interactive. That is what sets the above videos of Knorr and Lady’s Choice apart, that is what made those videos successful marketing efforts! Take advantage of human curiosity with interactive videos today!